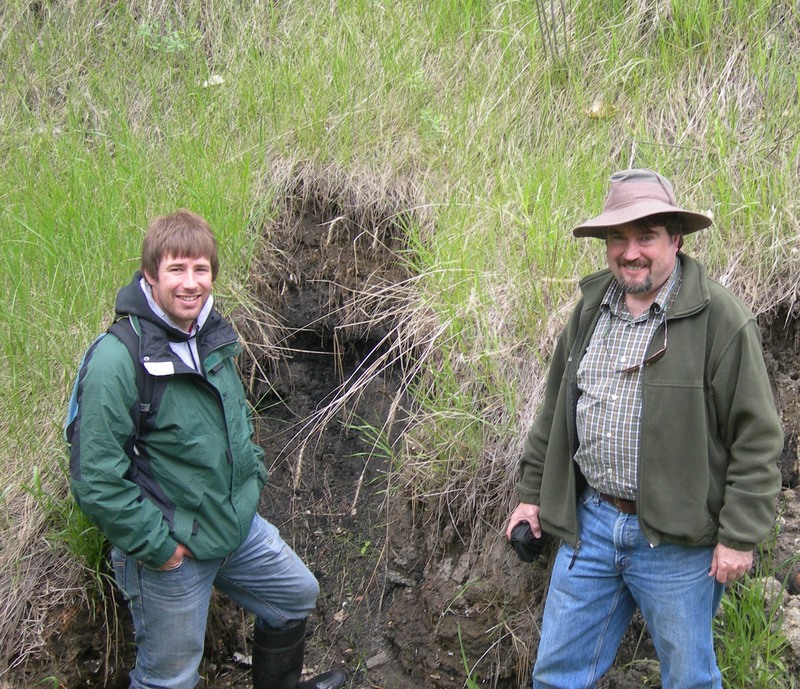 BRANDON, MB — Brandon University’s very own paleobotanist Dr. David Greenwood (above right, with Mackenzie Desautels, BSc. ’11) is back in the international spotlight as his contribution to a paper entitled Persistent near-tropical warmth on the Antarctic continent during the early Eocene epoch is released today in the esteemed British scientific journal Nature. He is currently in Australia to give a presentation on geological records of climate change, similar to what he discovered for the Nature paper, at the 34th International Geological Congress in Brisbane. With funding from the Natural Sciences and Engineering Research Council of Canada (NSERC), Dr. Greenwood focuses on reconstructing climates of the past through his research on fossil plants. Dr. Greenwood outlined his research, which examined sediments that had been extracted from the sea bed containing pollen from Antarctica’s Wilkes Land forests as part of the international ocean drilling program. The discoveries that he made about the climate of Antarctica 52 to 54 million years ago from these samples are remarkable. This is not the first time Dr. Greenwood has lent his expertise to an international research team or publishing endeavour. His findings, along with those of various colleagues from around the globe, have appeared in many other scientific publications. This level of research is not unusual at Brandon University. Dr. Greenwood explained that his success story is just one among his colleagues in the Faculty of Science. Nevertheless, the acting Dean of Science Dr. Phillip Goernert is delighted with this latest success. Dr. Greenwood’s trip to his homeland of Australia is another highlight of his summer. The conference to which he is contributing is held in a different country every four years and attracts geoscientists from around the globe. At this gathering, he will be chairing a symposium that will focus on the geological record of climate change. He will give a presentation about the Antarctic climate study that is appearing in Nature and will discuss follow-up studies on his research about the Arctic.